Our Air-conditioned banquet hall located on the terrace offers a fine blend of aesthetics and shape along with practicality and flexibility. The hall can accommodate 500 to 600 people at a time. 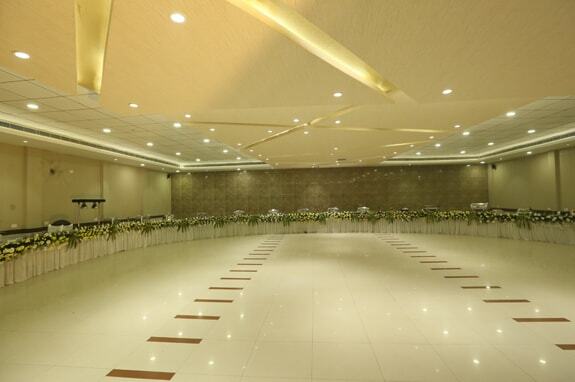 Our banquet hall has a complete buffet layout to entertain your friends, relatives or clients. To back it all up, we provide an impeccable service and a menu that offers the choicest cuisine. 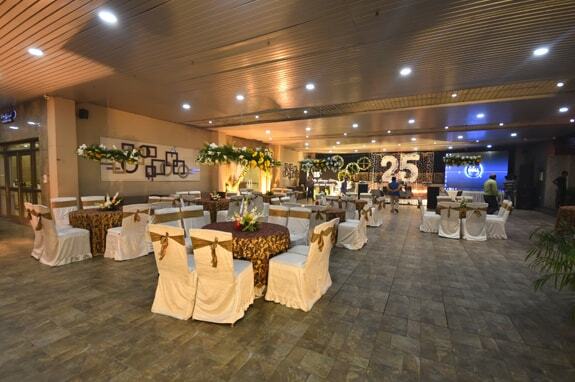 So whether it's a Wedding ceremony, seminar, conference or a party, we offer you the best venue. 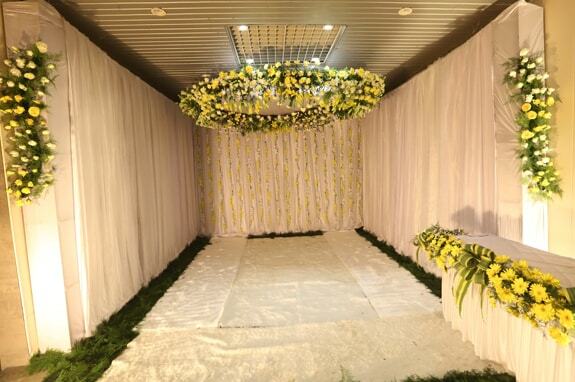 Several floor plans along with decor of flowers, light and music are available to suit your functions.